Poor leadership skills can ruin team morale. As a manager, you hold more power than you believe. You have the ability to hire and fire your subordinates. You can promote them, or not. You can approve their raises following their annual reviews, during which you can give them a fair review, or not. In essence, your leadership skills and moral compass will have a big impact in their future’s career. Even if you believe you are treating employees fairly, your impact on their lives is unmistakable, which is why having a great boss is the number one wish of many employees, above more vacation time, and a bigger pay check. There are managers that destroy the confidence of their employees. Whether they do it by accident, lack of leadership skills, or neglect, it can have a permanent damage on morale. 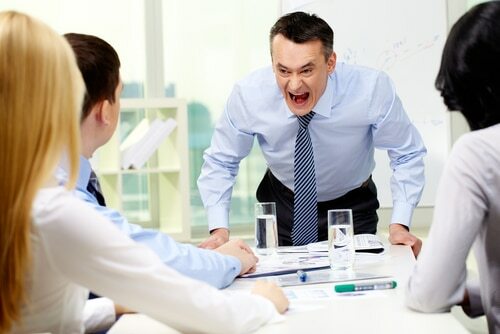 Below is a list of four ways that poor leadership skills can ruin team morale. Are You Guilty of these Behaviors? Bosses should be investing in their employee’s development. Their leadership skills might need some improvement, but they won’t have the incentive to improve it unless you encourage them to apply for promotions within the company. Some managers don’t tell employees about professional development opportunities, because they don’t want to lose someone or train someone new. Don’t be that guy. Some managers mistakenly think that causing employees to doubt their job’s security will persuade them to work harder. This is a flawed way of thinking, and a sign of poor leadership skills. Doing this will just make your employees feel betrayed, depressed, and upset. Eventually, they’ll start looking for jobs outside the company. Things go wrong in the office all the time. A new campaign can flop, media fails to attend a press conference, and presentations can go horribly awry. Some bosses, perhaps fearing for their own jobs as well, misplace blame and criticism. But if you had good leadership skills, you’ll know when to take responsibility for your team’s actions, and who exactly is responsible for what went wrong. What if an employee makes a mistake and disciplinary action is required? That matter should be kept among the human resources department, the appropriate manager, and the employee in concern. It should never be office gossip. Calling out a staff member’s mistake, either to place blame away from you, or to punish them, is never the answer. This can seriously damage employee morale and cause humiliation and even serious psychological and emotional damage. Being a good boss can mean different things to different people. Whether you’re a strict boss, or a hands-off type of leader, you are responsible for the well-being of your team — and that includes employee morale. Remember, happy employees are productive employees. 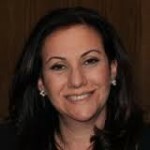 Michelle Riklan is president of Riklan Resources and an instructor for The Leader’s Institute® in the Northeast region. She is based in Trenton, NJ but she also teaches in New York, Boston, Philadelphia and other Northeast cities.